Ian started his professional playing career aged 14 at the Gaiety Theatre, Ayr and since then, as well as his busy schedule in the UK, has travelled throughout Europe, United States and the Middle East. He formed his own Scottish Dance Band in 1984 and broadcasts regularly for BBC Radio Scotland. Ian has played with his band on various cruise liners for Scottish Country and Ceilidh dancing. Every year takes the band to a different location for the annual Scottish Country Dancing trip. With 160+ country dancers eager to swap the good old British weather for sunnier climes, desperate to get their dancing pumps on to dance the night away. Cyprus, Portugal, Majorca, Lanzarote, Malta to mention only a few of the locations visited by this group. Ian’s television credits include Scottish Televisions Thingummyjig, Shindig and Grampian’s Welcome to the Ceilidh and more recently Northern Nights. The Band have also broadcast for GMTV’s Hogmany show for several years. These have been live performances filmed at the Rowardennan Hotel and Cameron House on the banks of Loch Lomond. 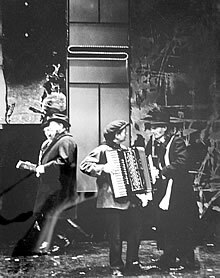 Ian has appeared in several Summer Seasons, spring shows and even a couple of Panto’s at the Gaiety Theatre in Ayr, a few years ago he took a step into musical theatre where he played the part of “Le’ Accordeoniste” in PIAF. 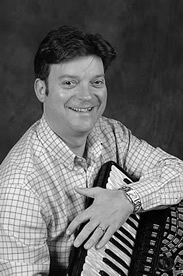 Ian is also “Senior Accordion Tutor” at The Royal Conservatoire of Scotland in Glasgow. He teaches privately from home too and has taught a few Junior and Senior Scottish Champions. This is an achievement that Ian is very proud of.